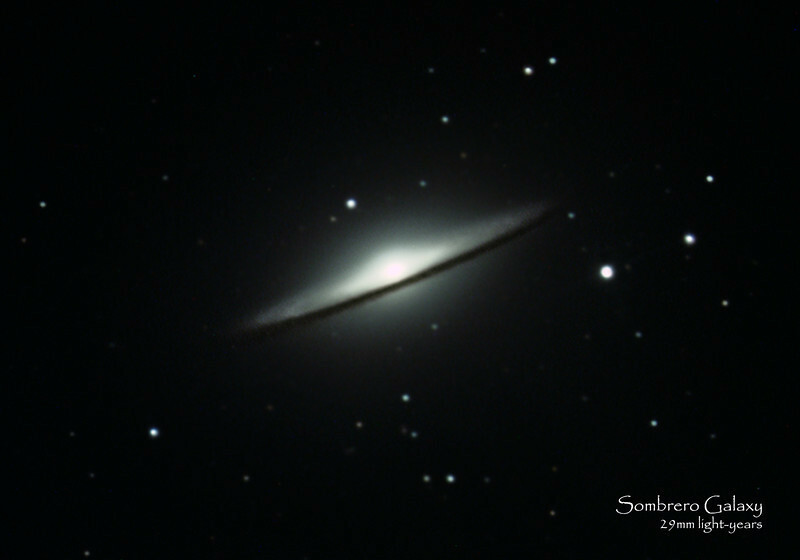 Sombrero Galaxie is approximately 29.3 million light years away. This is a second, more close up photo of this galaxy than the 2010 version. Details of the dust lanes are slightly more visible.